Claire Breen of local band Cemetery Circus discusses the music scene in Grand Rapids and the musical talent at The Market on First Fridays. The art and music community in our city is growing by the second. With different art shows, exhibits, and countless music events happening every single night, it’s safe to say that Grand Rapids is exploding with creativity of all sorts. It’s a scene that largely intersects too, with many artists playing music and musicians making art. More and more events are also featuring both art and music together. 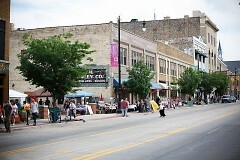 It’s the main draw of the city to many, as well as a large reason why young people and tourists are flocking to Grand Rapids. We’re in the middle of a hub of activity, and it’s an extremely exciting thing to witness and be a part of. 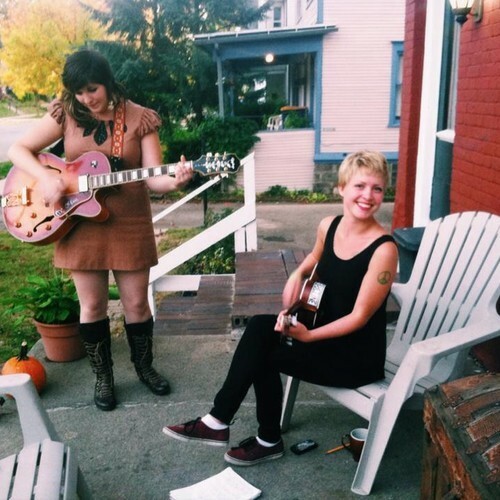 “I think that the growing art and music scene in Grand Rapids is really important for our community, it also brings a lot of different perspectives which makes for a really interesting atmosphere”, says Claire Breen of the local band, Cemetery Circus. “Different perspectives” and a “really interesting atmosphere” are but two of the things that will certainly be featured downtown this Friday night for The Market on First Fridays. Cemetery Circus along with other bands and musicians will be playing music on South Division from 5:00pm to 9:00pm in the 106 lot. “I’m really looking forward to the diverse music sets that’ll be played this Friday, from Americana to beautiful eerie folk music and everything in between. I’ve never experienced art the way I experience it on a daily basis in Grand Rapids, it’s almost as if you run into an artist or musician on every corner and I think that’s really rad,” Says Breen. She accounts how much things have changed over the past two years since she moved here, from the suburbs of Detroit. “There was really nothing going on, it was almost as if everything suddenly started seeding and sprouting all at once, and it’s been growing like wild ever since” Breen is a great example of a person who was drawn to Grand Rapids for its unique environment and ever changing creative atmosphere. 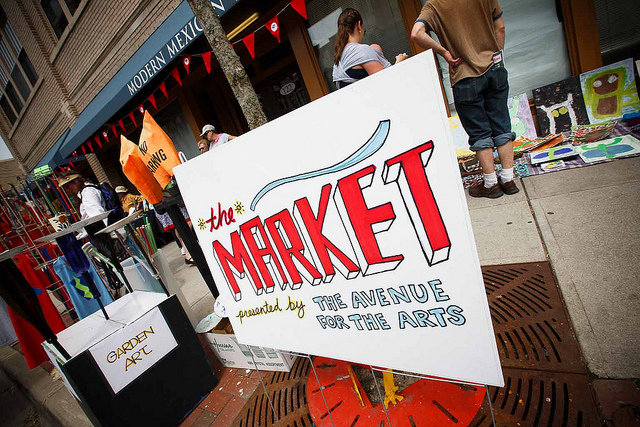 This Friday come downtown and see what Claire Breen is talking about by checking out The Market on First Fridays presented by Avenue for the Arts, taking place on S. Division from 5-9pm. Claire’s band Cemetery Circus is one of eight interesting and diverse local acts offering up their unique sounds. Ranging from punk and rockabilly to everything in between, there’s a little bit of music for everybody. Catch some amazing musical talent and take home a piece of Grand Rapids art for yourself, see you at The Market this Friday! The Avenue for the Arts is a neighborhood title for the South Division commercial corridor. We are residential, commercial and nonprofit groups working together in a creative community. We are residents in Heartside, and active participants in shaping change in our neighborhood. In 2005, we choose the Avenue for the Arts as a title to represent our commercial corridor and the projects and events that we create. Because the Avenue is powered by volunteers guest writers create our Rapidian content. 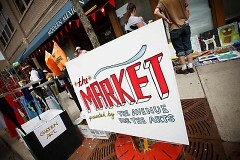 Special thanks to Ross Turcotte, Avenue member and writer for his coverage of "The Market on First Fridays"